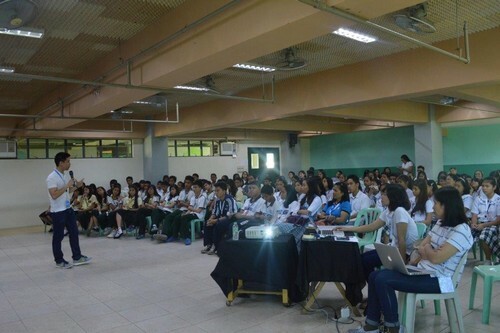 FutureYou.ph recently held its Life Lessons series for high school students in Cagayan de Oro College. The group invited successful young adults, Arthur Daniel Mejia and Raven Duran, to speak about their professions and motivate students to follow their dreams. FutureYou.ph helps students find the right job through their online career quiz and leads them to the right school and the right course. The website also provides information on the job market to allow students to make informed decisions for their future. 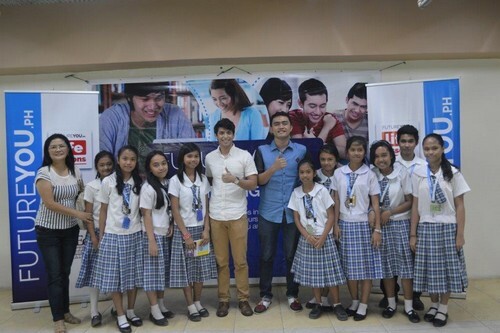 The Life Lessons held by FutureYou.ph is a series of talks for high school students to encourage them to prepare for their future. The talks features successful professionals who share their job expertise, tips and know-hows for the students. Arthur Daniel Mejia is a young entrepreneur and is currently the Managing Director for Mercedes Breads and Cakes. He is well known for developing the pineapple crumble - Cagayan de Oro's newest pasalubong craze. He taught students the importance of having a desire for innovation and how it helps one succeed in the future. Life Lessons' second speaker is Raven Duran, a senior IT student from Mindanao University of Science and Technology. He has been passionate about technology since he was 15, and it was his drive that led him to join and win various programming and web competitions. He is the founder and CEO of Webnified Inc., a company that uses innovative and disruptive technology to help businesses grow. With his many achievements, Raven Duran is an example for students to keep doing what they love and to keep seizing opportunities. Massi Oracion, Philippine Business for Education (PBEd) Project Coordinator for Post- Secondary Education said, "When you have a dream, it can't just stay a dream. It's something that you have to work for. FutureYou.ph Life Lessons help the process." "We want to encourage students to keep striving for their dreams with a mindset of excellence. 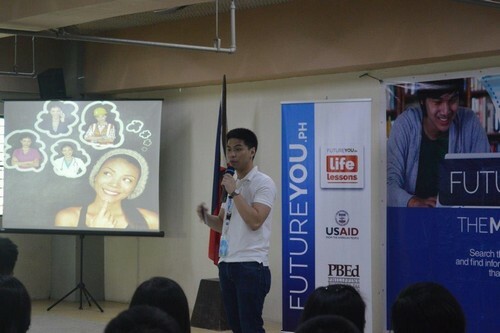 FutureYou.ph helps students by connecting them with the best school for their desired course so that in the future, they'll be able to land their dream job," he added. FutureYou.ph is a joint project of PBEd and the USAID/Philippines. It is part of the Higher Education and Productivity Project (HEP). It is a three-year project which aims to improve post-secondary education through national and local industry-academe partnerships. About Philippine Business for Education (PBEd) Philippine Business for Education (PBEd) is a non-stock, non-profit corporation established in 2006. It is the business community's response to the need for consensus and sustained advocacy in education reform. Its main vision is to nurture consensus on key direction in education reform and to initiate and lead the action towards those directions.